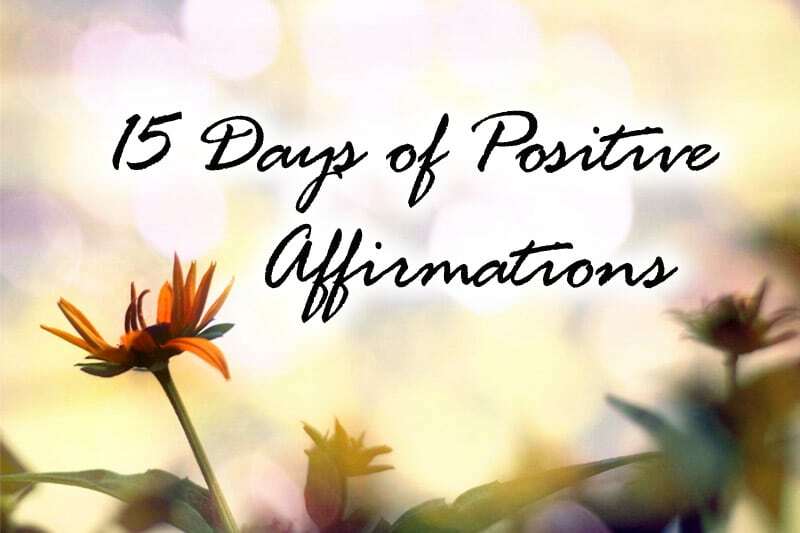 This is Day 4 of the 15-Day Affirmation Challenge where hundreds of participants around the world gather to practice positive affirmations for 15 days in July 2014. The challenge is now over, but you can do the tasks in your own time. Visit the overview page for all Affirmation Challenge tasks and posts. Affirmation Challenge announcement and signup details: 15-Day Affirmation Challenge | 420 Participants! After my shout out in yesterday’s post, I noticed many of you stepping out to share your task results and even to share your thoughts with other participants! To be honest, I was genuinely touched and surprised, as I had simply posted that shout out with no expectation but just a simple wish for more active participation (for both people who have signed up as well as lurkers), so that we can have a better challenge experience for everyone. I’m happy conducting this challenge as it is; I just wish for everyone to give your best shot for this challenge so that YOU can walk away with YOUR best results, not just for these 15 days, but for your life ahead. To all of you who have been actively participating, sharing, and sharing your thoughts with other participants, THANK YOU. I realize that the affirmation tasks can get a bit personal, but it’s precisely because they’re personal that they will make a powerful impact. I can set lalala-let’s-be-merry tasks which will be easy to do, but then what’s the point? You’ll no sooner be back to where you started before the challenge, and that would defeat the purpose of this experience. If you’ve been doing the tasks duly but you are shy/apprehensive about sharing your results due to privacy reasons or whatever, that’s okay! Simply share whatever you can, in a way you’re comfortable with. I know I share very personal things on PE, but I don’t expect you guys to do so too if you’re not comfortable with it. Let’s say you have some deep thoughts for Day 2’s task, like “My mom repeatedly hit me when I was a kid, because secretly she wanted to have a son, not a daughter. I grew up hating her and also hating myself,” and you’re not comfortable sharing it because you’re fearful about others reading it. That’s fine! You can simply share your results more generically, like “I had a powerful realization about my feelings toward my mom and they stem from my childhood. I’ve learned that I’m worthy and deserving of love…” Ideally it’ll be the best if you can share completely, but sharing partially is better than nothing and will still be helpful for both yourself and the other participants! Don’t forget if privacy is a huge deal for you, you can always post under a fake name and avatar. You don’t need to use your real name/picture just to post on PE, and I’ll never share your IP/email/etc. with anyone. Obstacles. For the person who lives a goalless life, “obstacles” is probably non-existent. After all, when you have no goals and aspirations, anything goes; whenever you experience resistance, you’ll simply flow in the path of the least resistance. Such is a simple, peaceful, and also… uneventful life. When one body exerts a force on a second body, the second body simultaneously exerts a force equal in magnitude and opposite in direction on the first body. Here, you are the first body exerting a force on your environment (the second body), in pursuit of your goal. Since your environment is receiving a push from you, it naturally reacts (in response to your force, which is in turn a function of the size of your goal) and pushes you back with that same force, in hopes of pushing you back to where you came from. The action and the reaction are simultaneous, and it does not matter which is called the action and which is called reaction; both forces are part of a single interaction, and neither force exists without the other. As I shared in yesterday’s affirmation, YOU HAVE THE ABILITY TO ACHIEVE ANYTHING YOU WANT, AS LONG AS YOU SET YOUR HEART TO IT. (Imagine a loud voice booming above you and saying that statement.) 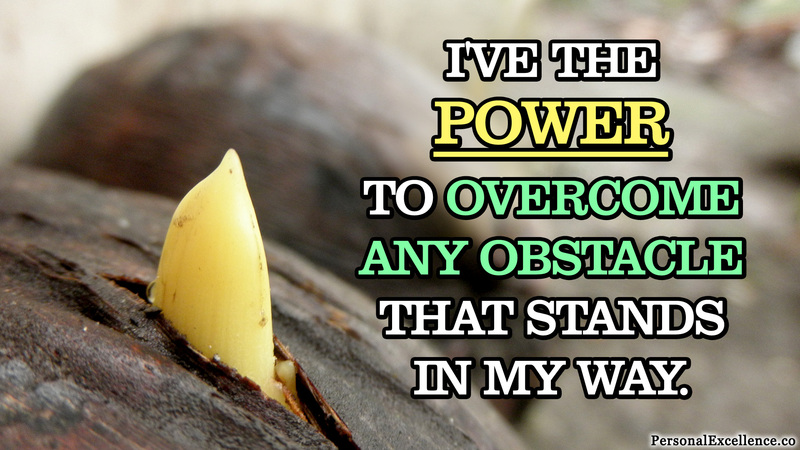 Facing tons of obstacles? Sure, show them our way, and let’s take them on together! The more obstacles there are, the BETTER, because they prove that you’re truly pursuing a worthy and grand goal. Your job here isn’t to give up in the face of obstacles. It’s to identify these obstacles, find ways to overcome them, and BREAK THROUGH THEM. Because you have the power to do so. Weight loss: I want to lose weight but my parents keep thwarting my efforts by buying junk food and forcing me to eat them. Career: I want to be working in field [X] but the recruitment situation for this field is terrible right now and there are no opportunities. So, I’m working in a totally different job in field [Y] for the money, but I hate it. Identify action(s) to overcome this obstacle. Okay, so this obstacle seems pretty sucky. However, remember that nothing is insurmountable in this world. Here’s my question to you, the harbinger of your life: How can you overcome this obstacle? My parents may buy junk food, but that doesn’t mean I need to eat them. I need to start the change by saying “no” to the junk food and owning my diet. It all starts with me. My parents are probably buying junk food partly because they care for me and want to use food as an expression of their love, and partly because I’ve been eating such food since young with no issues. So, they probably think that it’s the cue for them to continue such behavior! I can simply tell them that I don’t want to eat junk food, then EDUCATE them on the healthy food that I want to eat, so that they can redirect their energy to buying/preparing healthy food in the future. The change may not be immediate as old habits die hard, but at least it’s a start. Network with people in field [X] by using Linkedin and going to related industry talks. Just because there are no opportunities now doesn’t mean there’ll be no opportunities later. Work hard in my current job in field [Y] to build up my skills and resume. I want to prove myself as a competent and reliable employee, so that it’ll be easier to switch to any other company in the future. Find ways to pick up skills for field [X] in my current job. There are always soft skills that are transferable across any job, and I can build up my skills for field [X] now as I wait for opportunities to open up. Create new positive belief(s) to help you overcome this obstacle. I encourage you to write down your new belief(s) and today’s affirmation so that you can always see them and commit them to your heart. Repeat them every day to yourself, for as many times and as long as needed, until they become part of your default thinking.